Today is one of those wonderful holidays where some lucky folks are off of work or out of school. The rest of us are a little jealous. But it is an American holiday, and sometimes it’s good to stop and think about why.Why are we celebrating Columbus? It all starts in 1453. Prior to that year, the Europeans enjoyed the exports of Asia (i.e., the Indies) by land travel. These products included spices, exotic fabrics and ceramics, opium, and the bubonic plague. This trade had been booming since around 200 BC, during the Greek and then Roman empires. But when the Ottoman Turks took over in 1453, the land routes suddenly became quite hostile and the Europeans began turning to the sea. 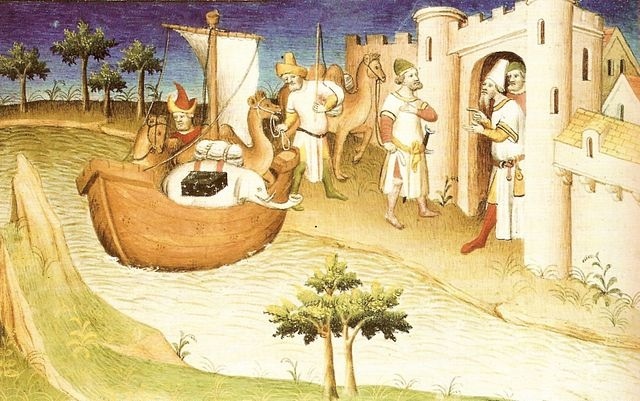 Marco Polo spearheaded the sea trade movement. Christopher Columbus (or Cristóbal Colón in Spanish) was a mariner and self-educated man who enjoyed the works of Marco Polo, Ptolemy, and Pliny the Elder, as well as the Apocrypha. He would later produce a book explaining how his exploration was a fulfillment of biblical prophesies. His brother was a cartographer, and together they cooked up this great idea involving bad math, worse geography, and a fast route to Japan by going west instead of east. Tradition tell us that his idea was rejected because everyone just knew the world was flat and he would sail right off the edge. Reality tells us that his idea was rejected because everyone knew his math was bad and his route wouldn’t work. His proposal was turned down by Portugal, England, Genoa, and Italy–even Spain, at first. 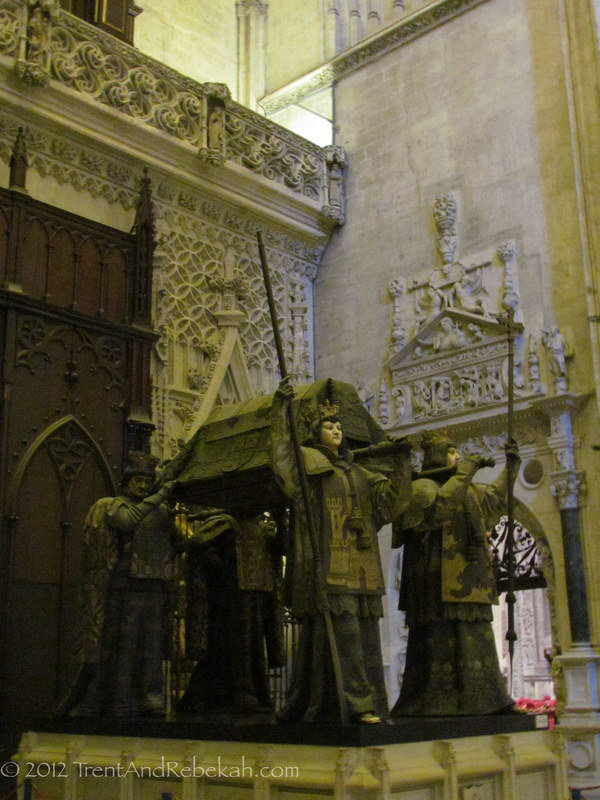 Then, in 1492, flush from their victory over the Moors, Ferdinand and Isabella saw him one last time. And they decided to just go with it. 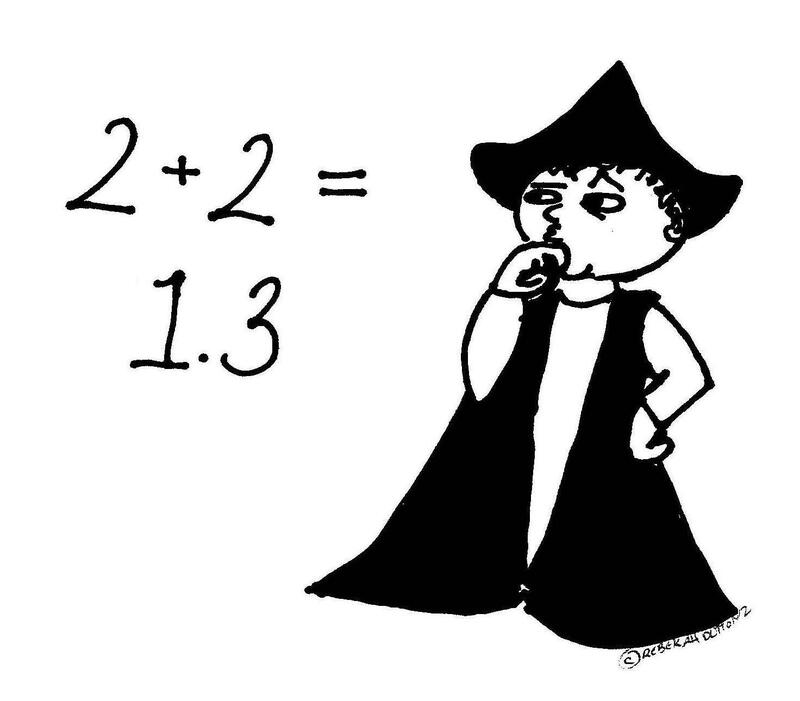 Columbus would get his ships, his crew, and his titles of Admiral of the Ocean Sea and Viceroy and Governor of whatever country he found (plus 10% of all treasure). 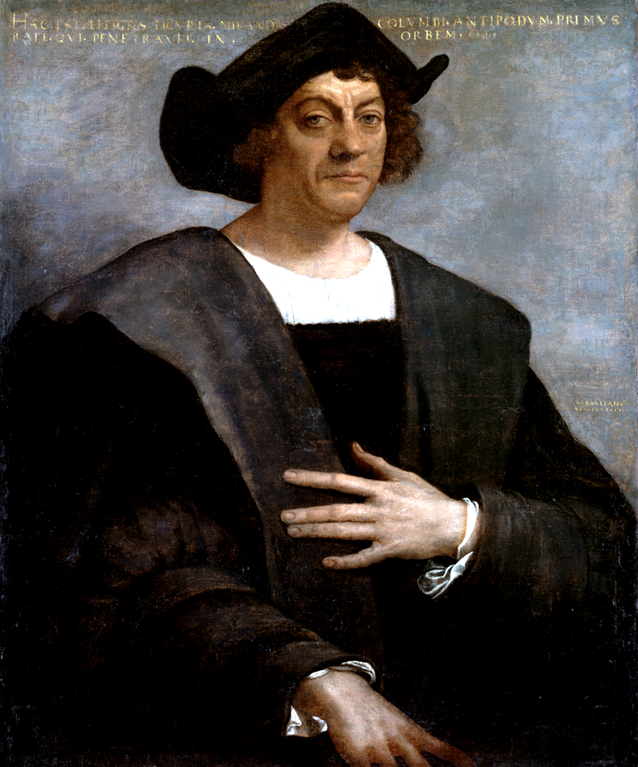 Columbus subsequently discovered the Bahamas, Cuba, Panama, and some parts of South America in his four voyages. 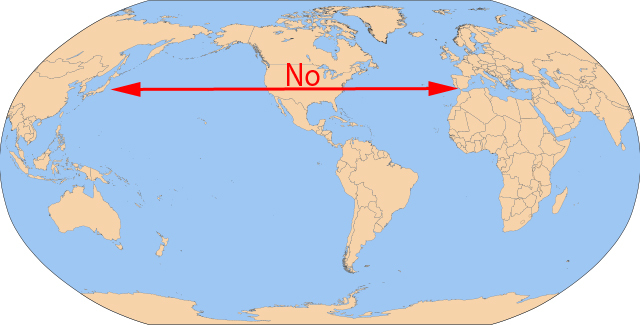 Not North America, though–that goes to Leif Ericson, about 500 years earlier. And Giovanni Cabot, who sailed in the name of England, and thus was not popular with colonial America. We adopted Columbus as our champion instead. Out of spite. Columbus was in, Cabot was out. Columbus died in relative prosperity, enjoying a quiet apartment in Spain, though he spent a short stent in jail for committing atrocities against the natives under his governorship. The Crown also stripped him of his rights to a cut of the treasure, which his heirs eventually won back after his death. He now resides in Sevilla, Spain. This entry was posted on October 8, 2012 at 4:43 pm and is filed under Whimsy, World History. You can follow any responses to this entry through the RSS 2.0 feed. You can leave a response, or trackback from your own site. Maybe it’s that hat–it doesn’t flatter him at all.